Photo of Romain Bardet by the A.S.O. AG2R-La Mondiale's Romain Bardet is set to start his season in France. From there, the rider will compete in Italy and Spain. 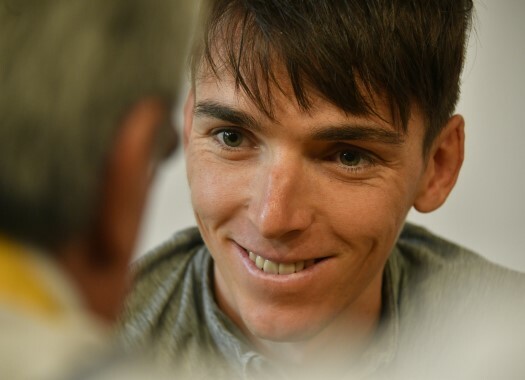 Bardet had already unveiled some of the plans he had for the 2019 season and showed his intentions to make Milan-San Remo fit in his preparation for the Tour de France. Now the rider has confirmed the first part of his calendar for the season. The Frenchman will start his 2019 at the Tour du Haut Var, which will be held in France from the 22nd to the 24th of February. He will then appear at the Classic de l'Ardeche on the second of March. Bardet will then go to Paris-Nice that will start on the 10th of February and will finish on the 17th. On the 23rd of March, the rider of AG2R La Mondiale will travel to Italy to be in Milan-San Remo and will finish the first part of his calendar in Spain, where he will start in the Volta a Catalunya from the 25th to the 31st of March. The rider announced at the end of 2018 that he doesn't intend to start at the Giro d'Italia as he will focus solely on the upcoming Tour de France.